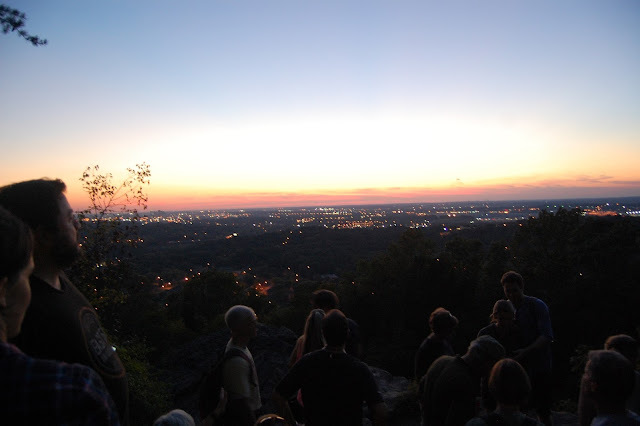 Thanks to those of you who came out to the Ruffner Mountain Wine and Cheese Sunset Hike this past Friday. We were a tad late for the sunset, but it was beautiful to watch the afterglow fade into night perched there above the city. For the record, it was not my fault that we did not have cups to drink the wine. But it was another lesson in the importance of bringing your own water bottle every time you hike. Thanks to the Ruffner staff for hosting us. 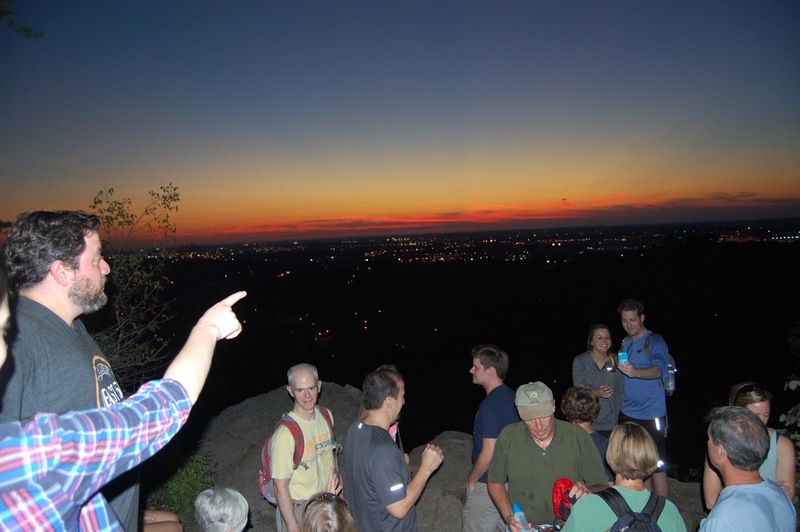 Planning a family-friendly Sunday afternoon hike on Oct. 18. Be thinking about it. More details coming soon. Ruffner is a great spot.